Another great song written by Ryan Tedder for OneRepublic. He truly is one of the most talented people in the music industry … he is just amazing! I love the lyrics and the music to this song. It has such a nice sound and draws the listener in with the emotional weight of the music. This song was written for the movie, The Giver (based on the book by Lois Lowry), which should be released mid-August and is anticipated to be a major summer blockbuster. The soundtrack for the movie, called The Giver: Music Collection, is expected to be released one week prior to the movie (August 5). The soundtrack sounds incredible, including not only OneRepublic, but also Capital Cities, Jack Bugg, Aloe Blacc, and NeedToBreathe among others. I am really looking forward it. I am just an “ordinary human” and have not been fantastic about regularly positing the last two weeks. It has been a crazy summer and I am hoping things slow down a bit so I can get back onto a regular routine. Looking forward to sharing more music! Have a great summer! With the end of the year quickly approaching, I wanted to take time to devote a post to naming my favorite album of the year. There was a tremendous amount of great music released this year, but my favorite album of the year by far is “Native” by OneRepublic. I honestly love every single song on this album! It is an album that I can listen to at any time … it fits every mood. I have been a huge fan of OneRepublic from their beginning and I believe Ryan Tedder to be one of the most talented people in the music industry today. His songwriting skills are incredible and I love his voice. On top of all that, he is one of the most energetic entertainers that I have ever seen live in concert. He just loves what he does! Typically I buy individual songs off of iTunes and do not often purchase an entire album all at once, but with this album my son went onto iTunes on the day the album was released and purchased the whole thing in one fell swoop. We have been listening to it ever since, and it was definitely our summer road trip album. It was incredibly difficult for me to pick just one song for the day as I love all of the songs on this album (so I gave you the link for the entire album as well! ); however, the song “I Lived” just captivated me from the moment I heard it. It is an amazing song. I have already told my kids that it is the song I want played at my funeral. They are thrilled to already have that information. haha! 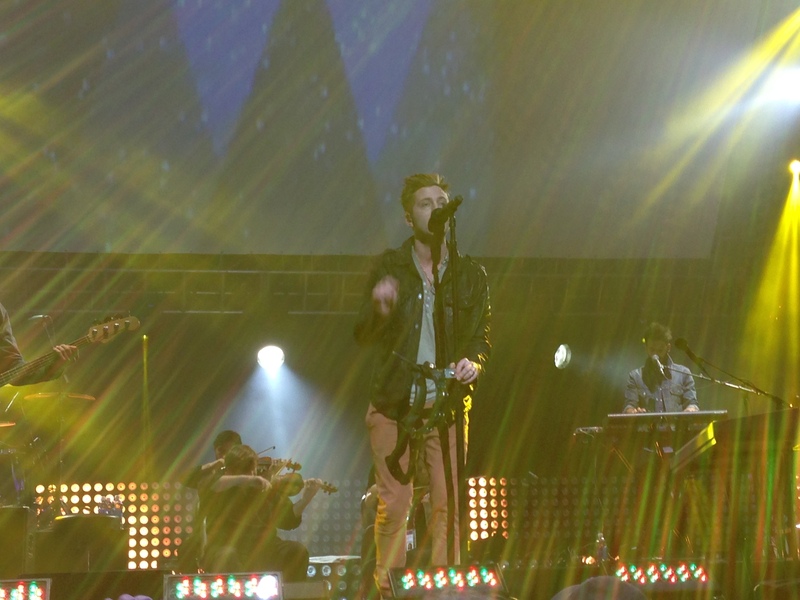 So that is my favorite for 2013 and the most exciting news for 2014 … OneRepublic and The Script are touring together! They are truly two of my all time favorite bands and they will be in concert together. I can hardly wait! As an added bonus, the entire family counts the two bands among their favorites as well! 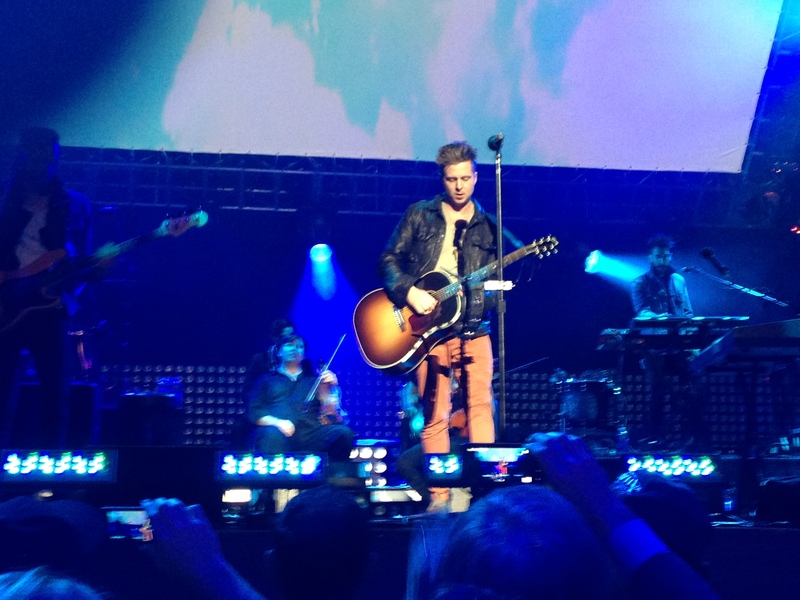 OneRepublic in concert at the Superbowl – February 2013.